"I'm sharing this picture because it's real. This is motherhood; it's raw, stunning, messy, and freaking hilarious all rolled into one. Having a baby is a beautiful experience, and the realities of postpartum life aren't spoken enough about." said Bacon. Many mothers from around the world related to her personal story and added their experiences as well. One mother said, "Mesh underwear and giant pads now this is the reality of having a child. 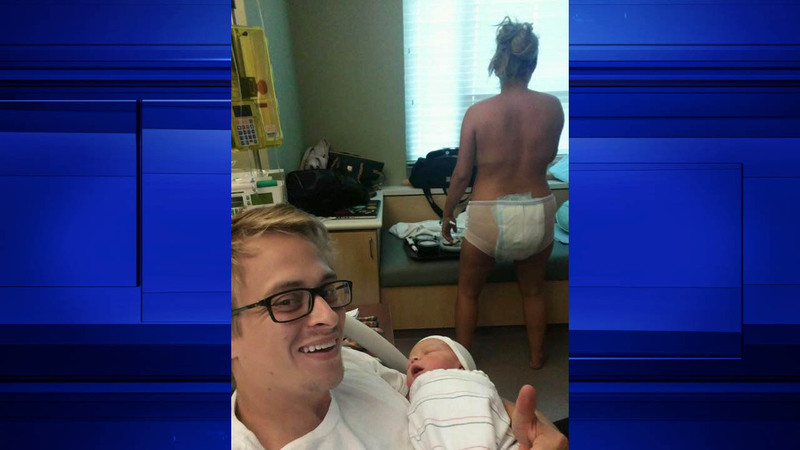 I forgot how long it took to be comfortable in real underwear after giving birth!" Amanda has also started a blog bitsobacon.com that she describes as "anecdotes from a millennial mother." That's no secret to anyone who's ever looked after a youngster for longer than a movie. These dads got noticed for their devotion in trying times.